Let’s face it—our incredible Movement would be nothing without the selfless volunteers who dedicate so much of their time every week to uplifting girls. Whether you serve as a Girl Scout troop leader, volunteer, or cookie mom or dad, we know that your job is not an easy one. 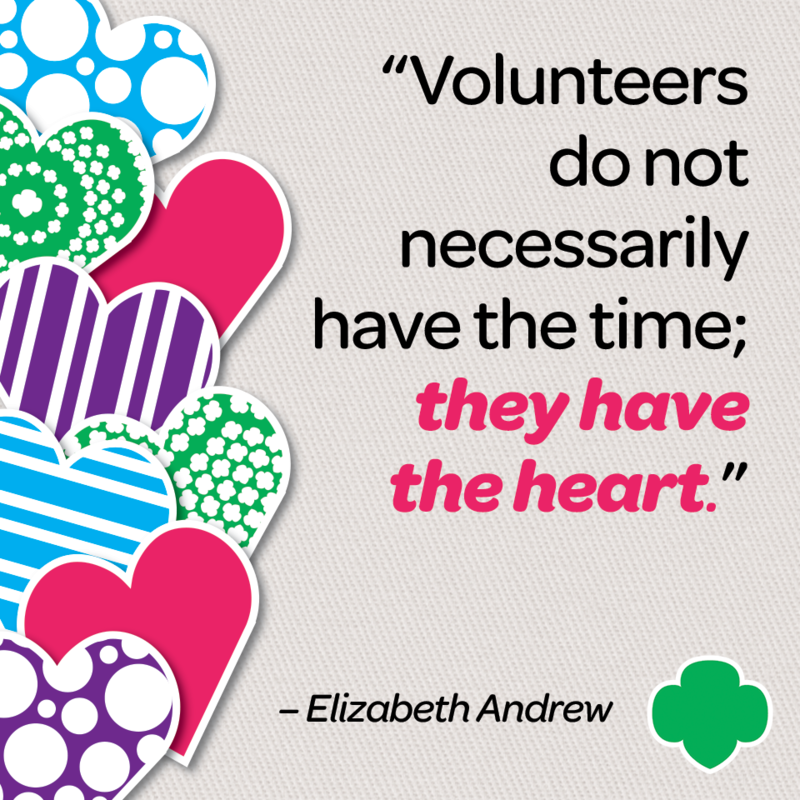 Many of you lead busy lives outside of Girl Scouting: you’re parents, guardians, teachers, employees… the list goes on! So this week, we want to celebrate YOU! Seriously—thank you for all you do. You’re changing lives, instilling hope, and changing the world, one girl at a time.